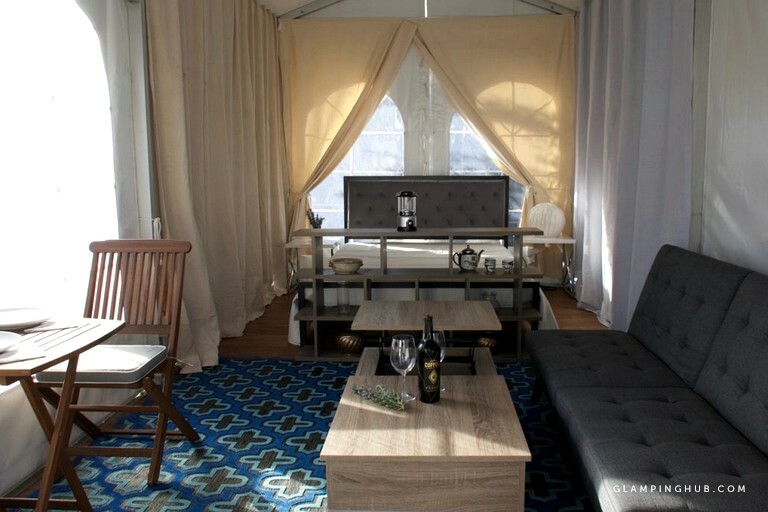 This tent accommodation is located in Guerneville, California, and can accommodate up to three guests. Inside this tent, guests will find a luxurious queen-size bed, a stocked bookcase, two bedside tables, and lamps. Bed linens are provided. There is a twin-size sleeper sofa and a coffee table, as well as a cozy sitting area for two where guests can enjoy a glass of wine and the creekside views. 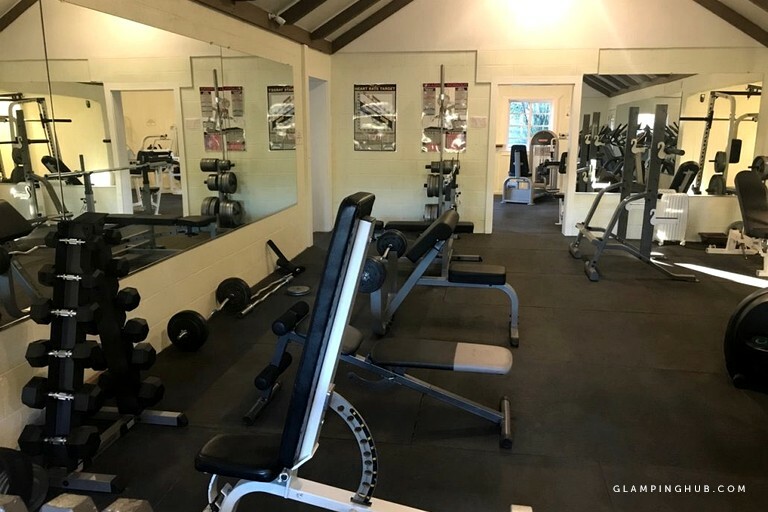 Guests will enjoy a range of facilities at this property, including a gym that is well-stocked with cardio and weights equipment, shower facilities, and gym classes that are coming soon. Inside the accommodations, guests will find attractive hardwood floors, area rugs, comfortable furniture, and dining areas. 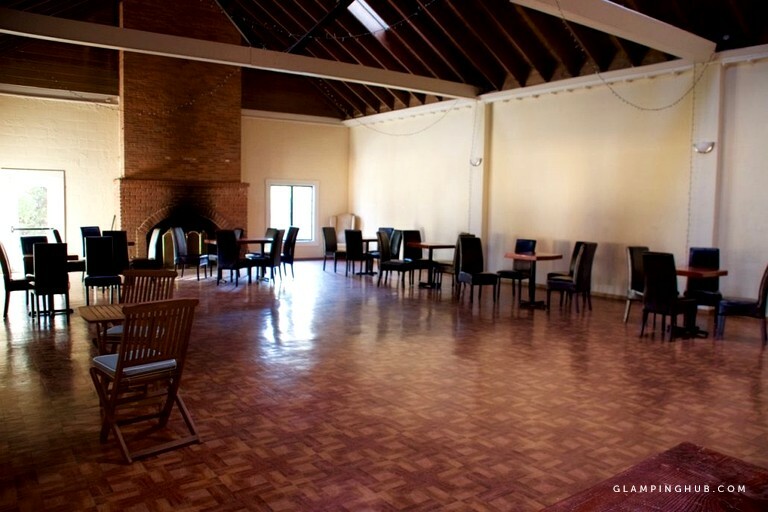 Additionally, guests will have access to a communal dining room and bathroom facilities. Outside, there is a luxurious swimming pool for guests to enjoy. Guests will have access to the property's gym, which includes generous rates and plenty of equipment. This property boasts wine tasting tours, microbreweries tours, massage therapy, nutritionists, private catering, and hair and makeup styling; guests should inquire with the host regarding fees. Guests will enjoy a range of activities in the area, including enjoying the native wildlife and tranquil forest that surrounds the property. On the nearby Russian River, visitors are able to take a relaxing kayak or canoe ride down the calming waters, as they further explore the natural surrounding beauty. Wine-lovers will be thrilled to visit the many wineries that the zone boasts. Just minutes away is Johnson’s Beach, where guests can participate in water sports, such as swimming and kayaking. Additionally, those who wish to get their adrenaline pumping must be sure to visit J’s Amusement Park. Sonoma Coast State Park and the Armstrong Redwoods State Natural Reserve both boast walking trails that relish in the native wildlife. Glampers who wish to experience some city life during their getaway can visit San Francisco, situated under a two-hour drive away. Here, glampers must be sure not to miss a photo opportunity in front of the emblematic Golden Gate Bridge or Alcatraz Island.